Last month, we reported on the upcoming All-Star game with the Alternative Baseball Organization (ABO) and many professional baseball players from around the country. 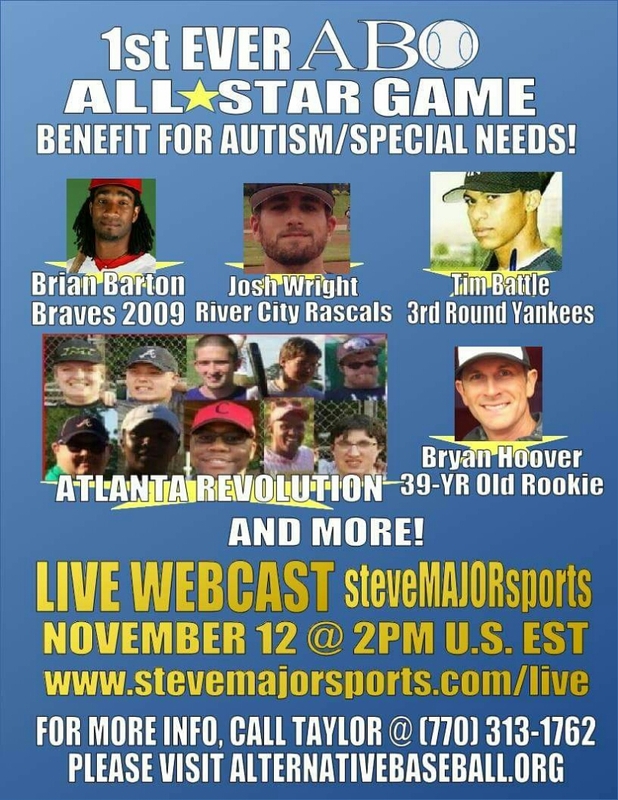 The game, which is scheduled to take place next month on November 12th, has been getting a lot of attention throughout the baseball world as well as among many special needs advocates and organizations. There will be a live stream of the game thanks to Steve Major Sports. A live stream link will be available as the event gets closer. Timothy Miller, tenor singer famous for singing the “Star Spangled Banner” and “God Bless America” for the Braves and Falcons, has signed on to make an appearance to sing “God Bless America” at the game. And 1957 World Series Champion Taylor T-Bone Phillips will be throwing ceremonial first pitch as well. There will be players representing 7 independent baseball leagues (Atlantic, American Association, Frontier, Can-Am, USPBL, Pecos and the Empire League) as well as current and former affiliated players. Previous PostThat’s a Wrap for the 2016 Indy Ball SeasonNext PostWhat is Going on with the Desert League?